Why choose Carpet One Shop@Home? • The Beautiful Guarnantee – If you don’t love your new floors we will replace them for free, including installation! Get started today by scheduling a FREE in-home estimate below or by calling us at (952)-697-3000. 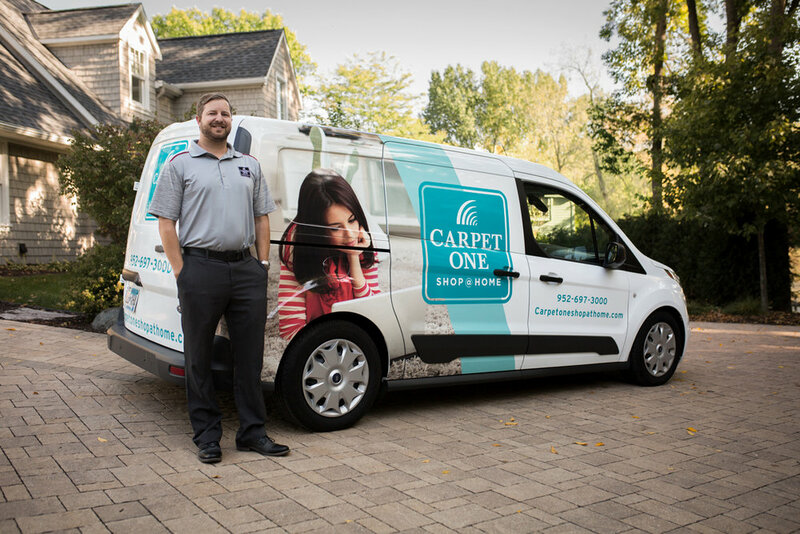 Why Choose Carpet One Shop at Home? Carpet One Shop at Home makes shopping for new floors easy. We understand that life can become hectic and getting from point A to point B can be a struggle, so we’ve come up with a solution. Shop at Home makes shopping for new floors simple and convenient for you. Simply schedule your appointment online or via phone and our experts will come to you. Whether you’re looking for hardwood, vinyl, laminate, or carpet, we’ll bring countless samples and help you make an informed decision. Get started today by scheduling a FREE in-home estimate.